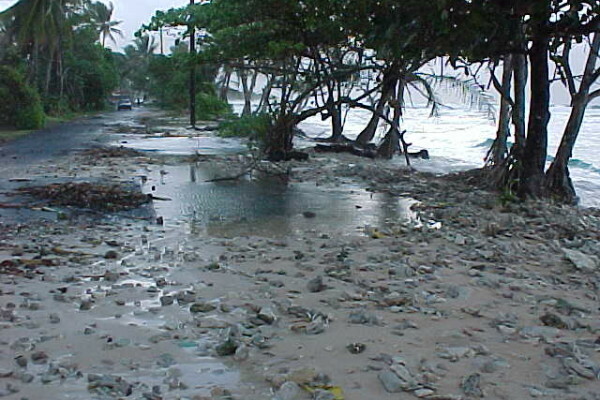 High tide flooding at Pal, Malem (21 February 2000). 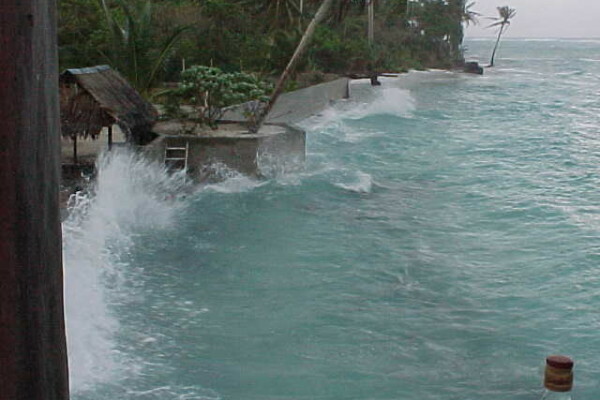 Wave overwashing, Malem (21 February 2000). 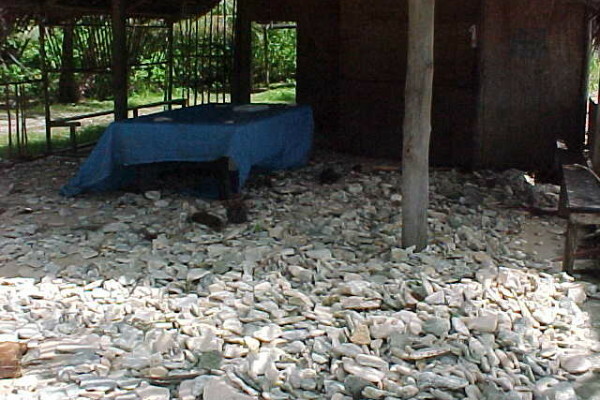 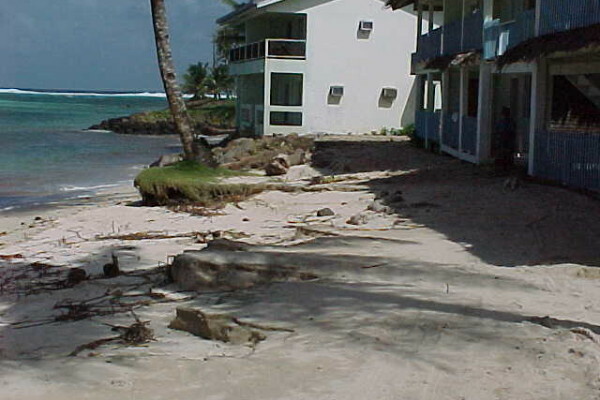 Wave damage at Sandy Beach Hotel (21 February 2000). 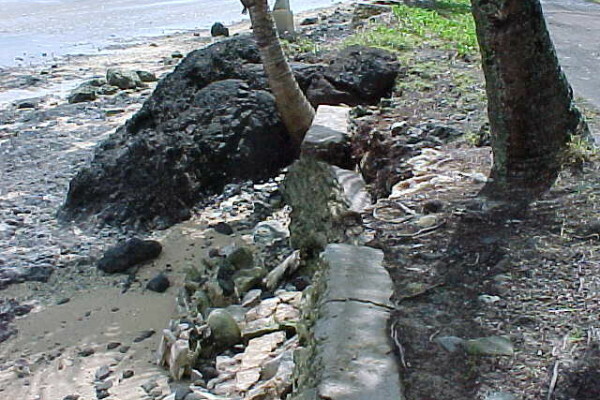 Wave overtopping of the seawall at Phoenix Resort, Finfokoa (21 February 2000). 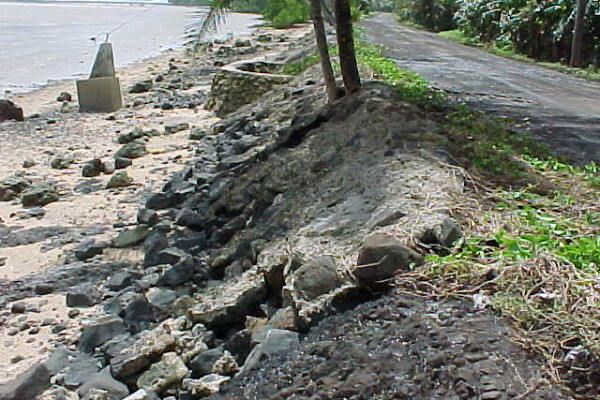 Wave damage to the seawall at Leyot (21 February 2000). 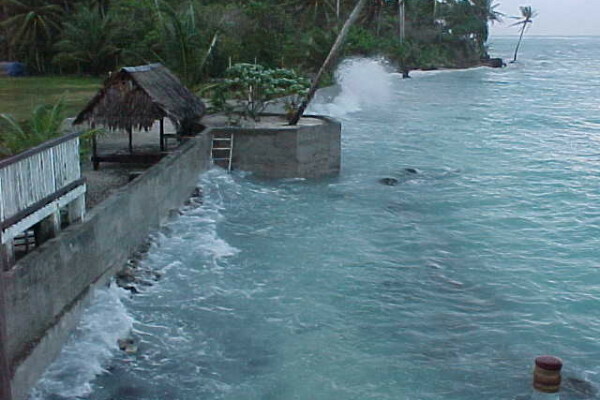 Wave overwashing at the Iraqi Beach Club, Finfokoa (21 February 2000). 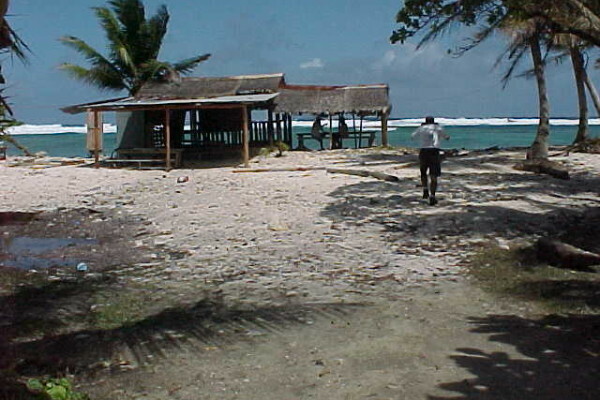 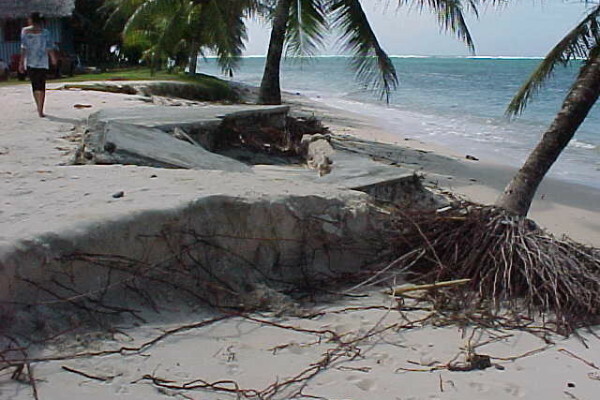 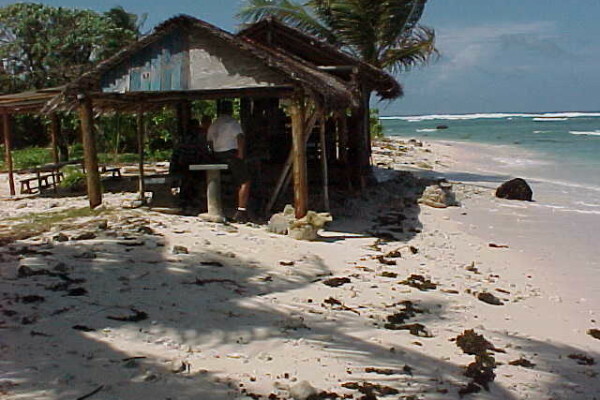 Damage due to wave overwashing at the Iraqi Beach Club, Finfokoa (21 February 2000). 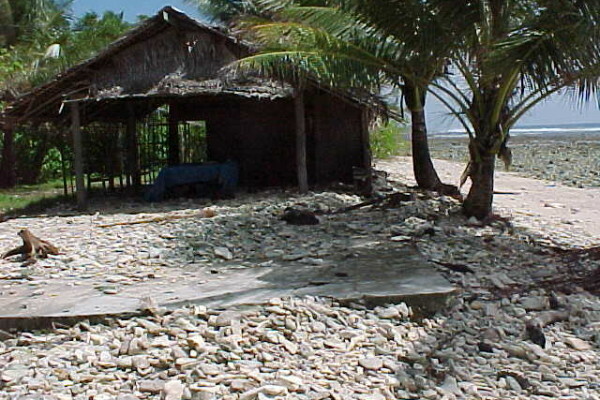 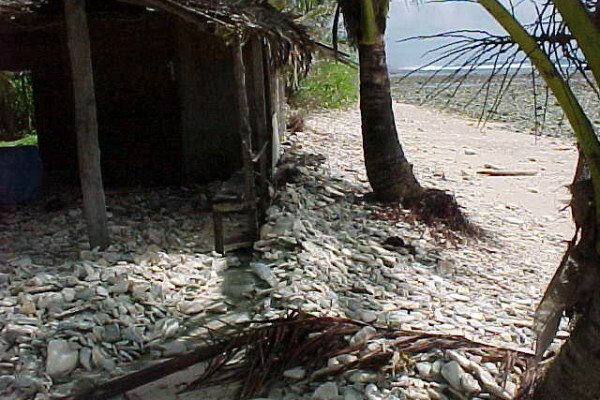 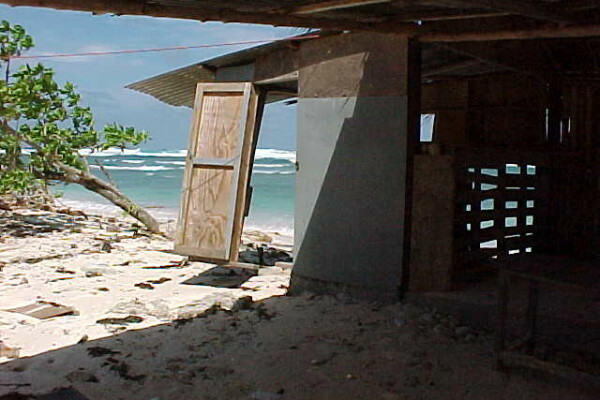 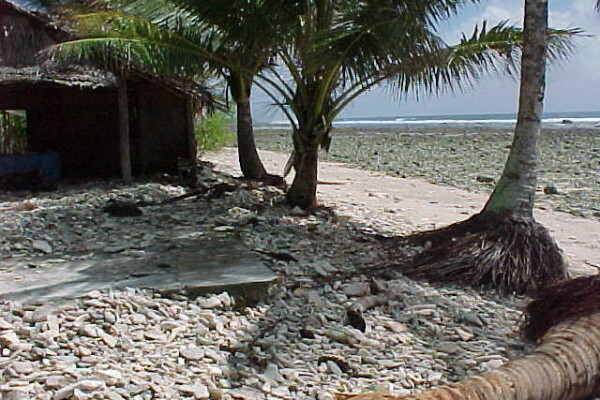 Damage due to wave overwashing at the Club 18, Finfokoa (21 February 2000). 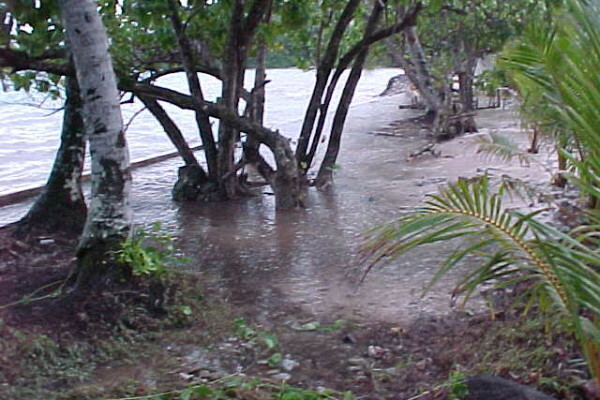 High tide flooding, Finpukal (21 February 2000). 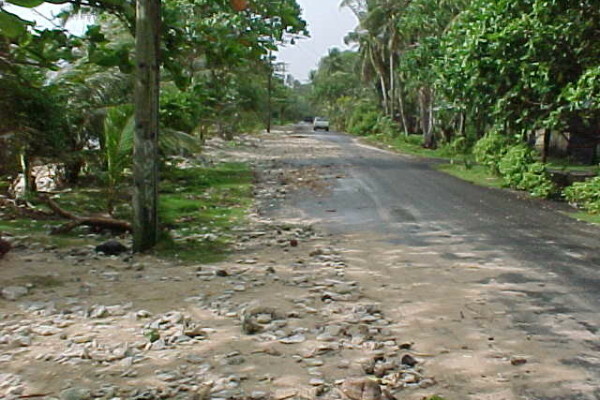 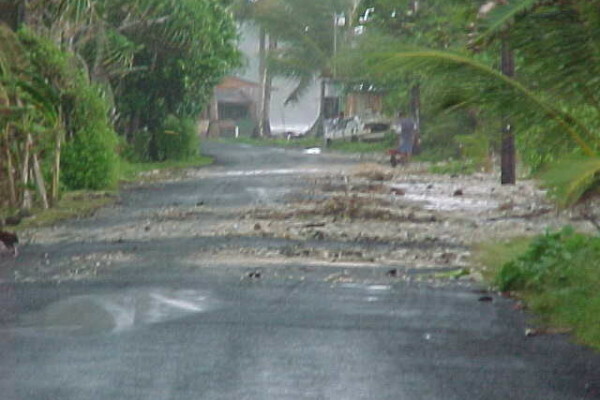 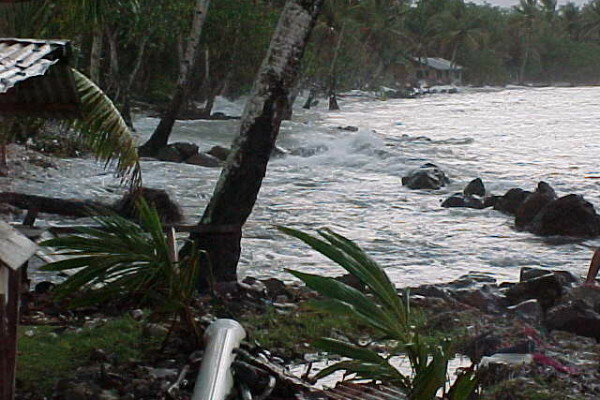 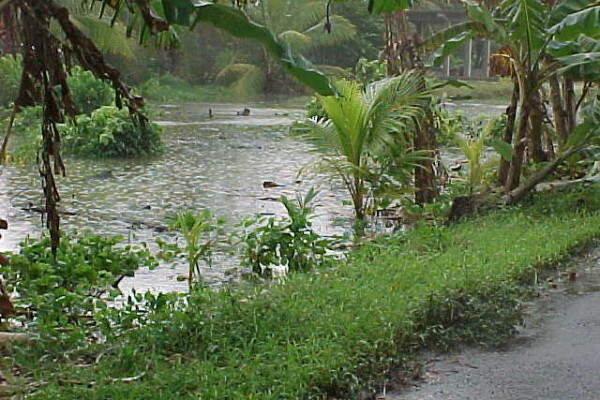 The higher than normal Spring tides that Kosrae experienced between December 1999 and February 2000 again caused damage around the 21 February. 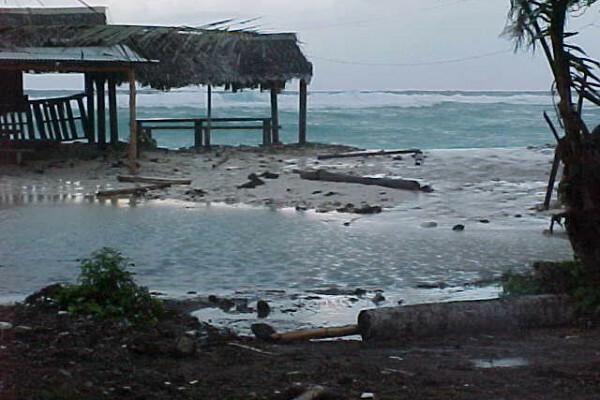 The higher than normal tides always experienced at this time of year continued to be elevated further by the La Nina conditions being experienced over the Pacific. 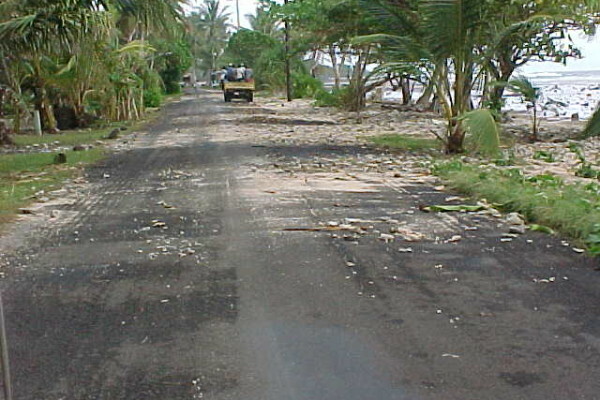 The flooding, erosion and damage that occurred on the 21 February were due to these high tides coinciding with strong winds and large waves on the north-east and eastern-facing shorelines, resulting in high tide flooding and wave overwashing and damage to properties located right on the shoreline particularly at Finaunpes and Finfokoa and further south at Malem. 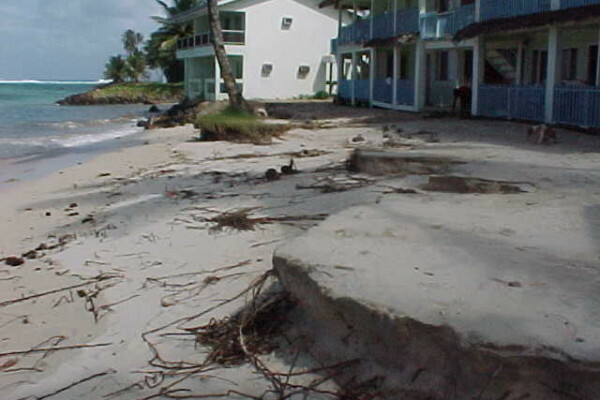 Despite these tide levels being higher than normal, there was nothing particularly unusual about the high tide levels or the large waves that occurred.